Royal Boskalis Westminster N.V. (Boskalis) has been awarded a contract by Açu Petróleo S.A. (joint venture company of Prumo Logística S.A. and Oiltanking Gmbh) for the expansion of the Porto do Açu Oil Transhipment Terminal in Rio de Janeiro State, Brazil. The contract has a total value of approximately EUR 120 million. The expansion comprises the deepening, widening and extension of the access channel and turning basin. In total, approximately 32 million cubic meters of sand, silt and clay will be dredged. The activities will commence immediately and are expected to be completed late 2017. 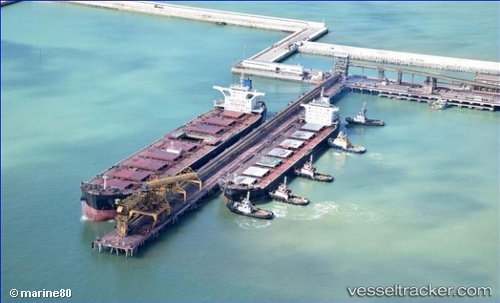 For this project one jumbo and two large trailing suction hopper dredgers will be deployed. Currently, the terminal's access channel has a depth of 20.5 meters suitable to receive Suezmax type vessels. By the end of 2017 the depth will be increased to up to 24.5 meters, so the terminal will be able to receive Very Large Crude Carriers. The taxes for pilotage uses of the port of Açu, located in the state of Rio de Janeiro, Brazil, will be subject to increases soon. The amount of the increase is not yet known but information from the port authorities suggests that the taxes will be raised based on the Brazilian indexes IPCA (National Consumers Price Index) and IGPM (Market Prices General Index), GAC reports. The so-called Superport of Açu is one of the biggest in Brazil with capacities of over 300 MTPA including oil, steel, coal and iron ore.